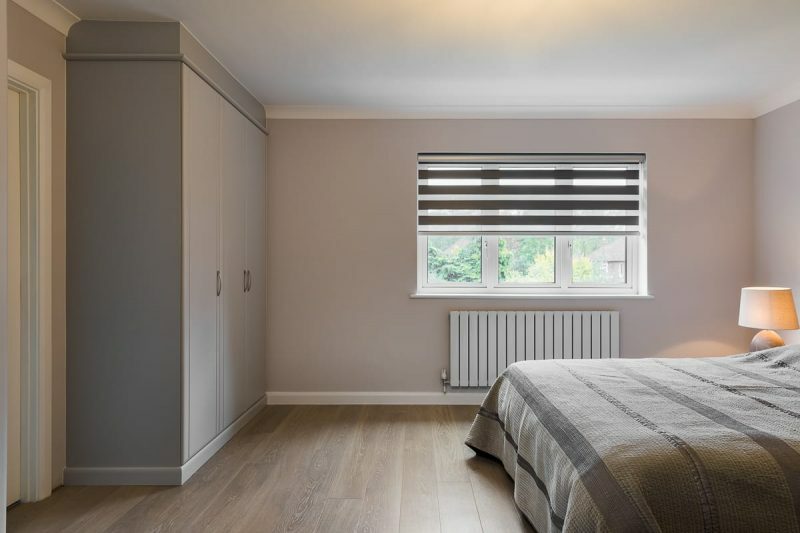 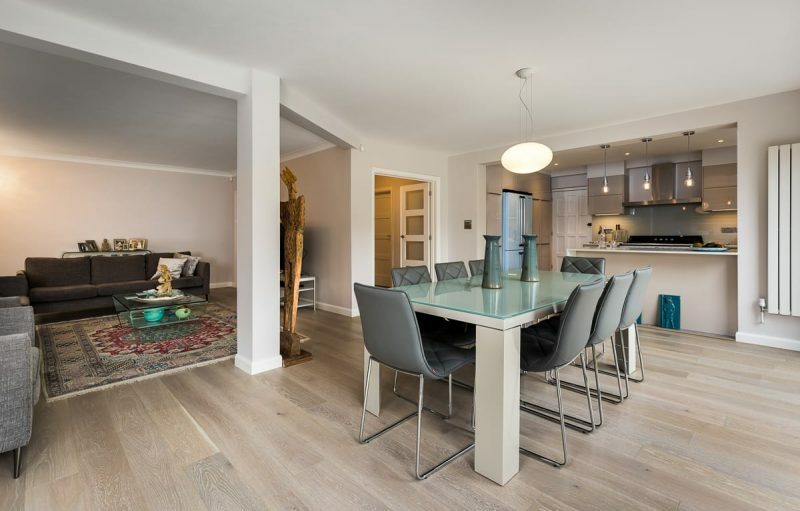 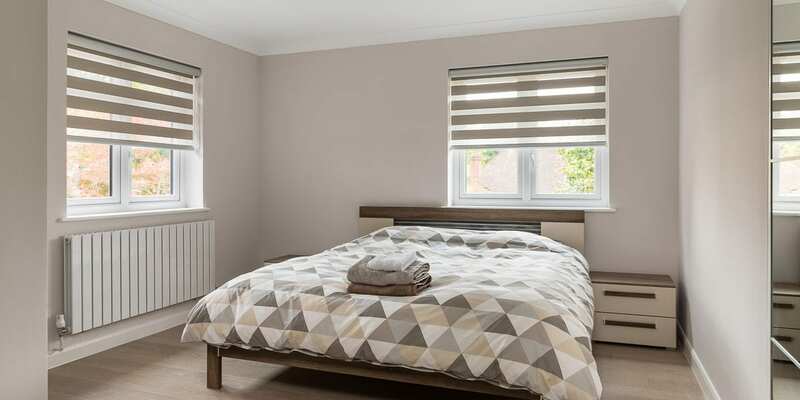 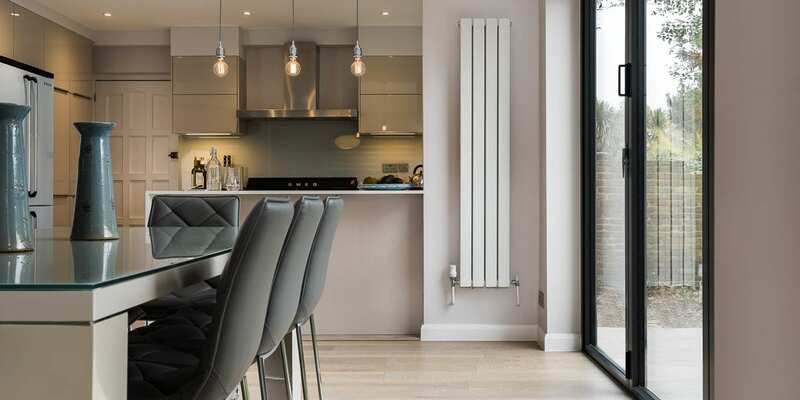 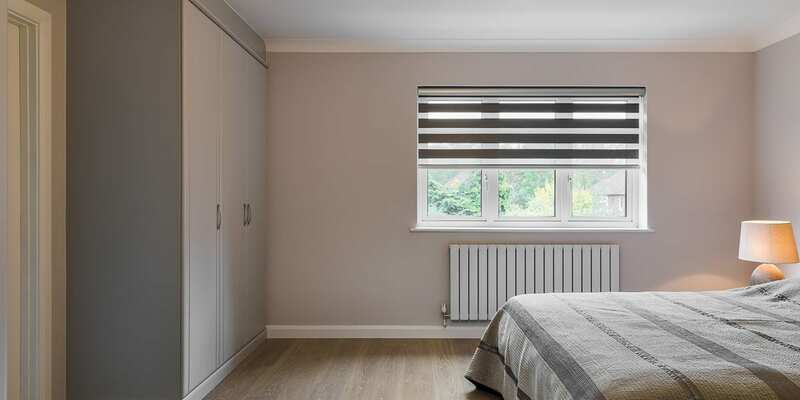 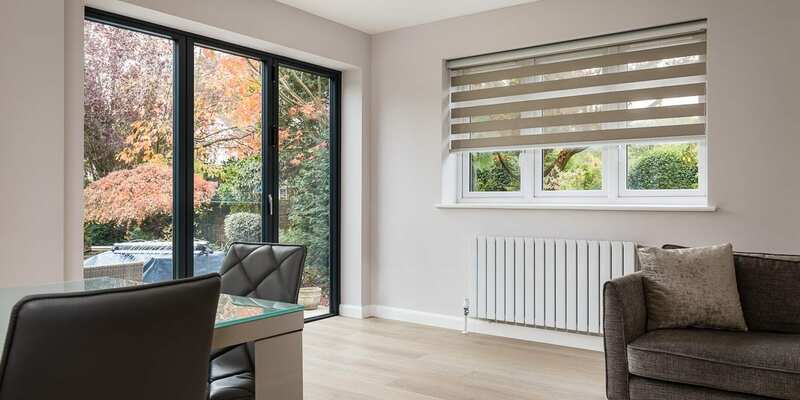 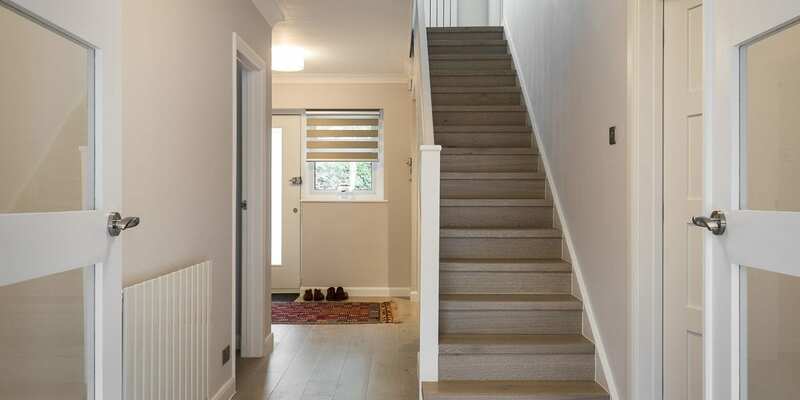 This beautiful home in Hampton, Greater London, has undergone a complete renovation and extension to the ground floor rear to create a stunning home which features Alpine Lock Silver Sands wood floors throughout the living and bedroom spaces. 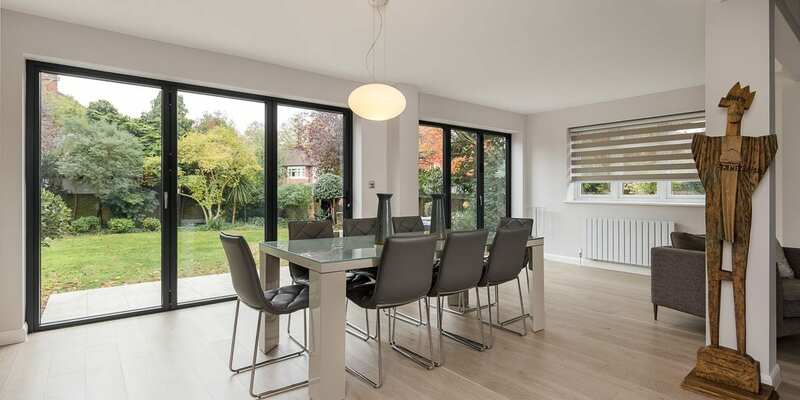 The new owners moved into the property at the start of summer and in just two and half months have created a contemporary and stylish home. 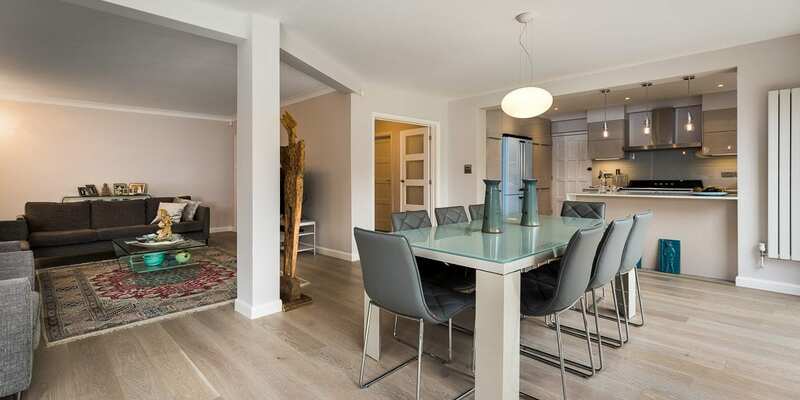 With this in mind they visited their local flooring retailer in nearby Richmond, Ashburn Carpets, to look at options. 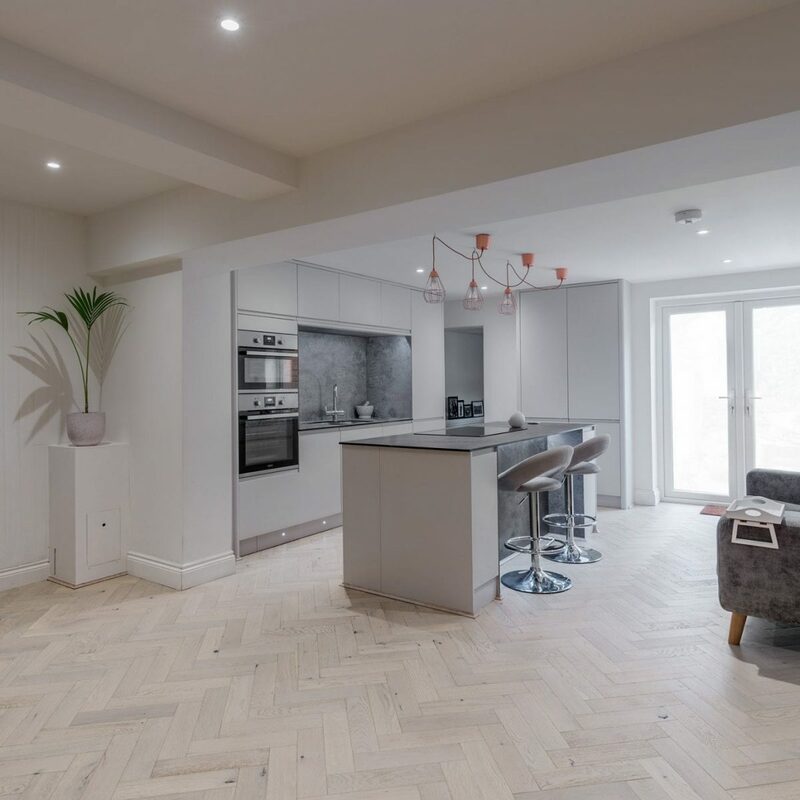 As a V4 approved retailer large samples of the V4 engineered wood flooring collection were available to view and they were instantly drawn to the new Alpine Lock Silver Sands boards. 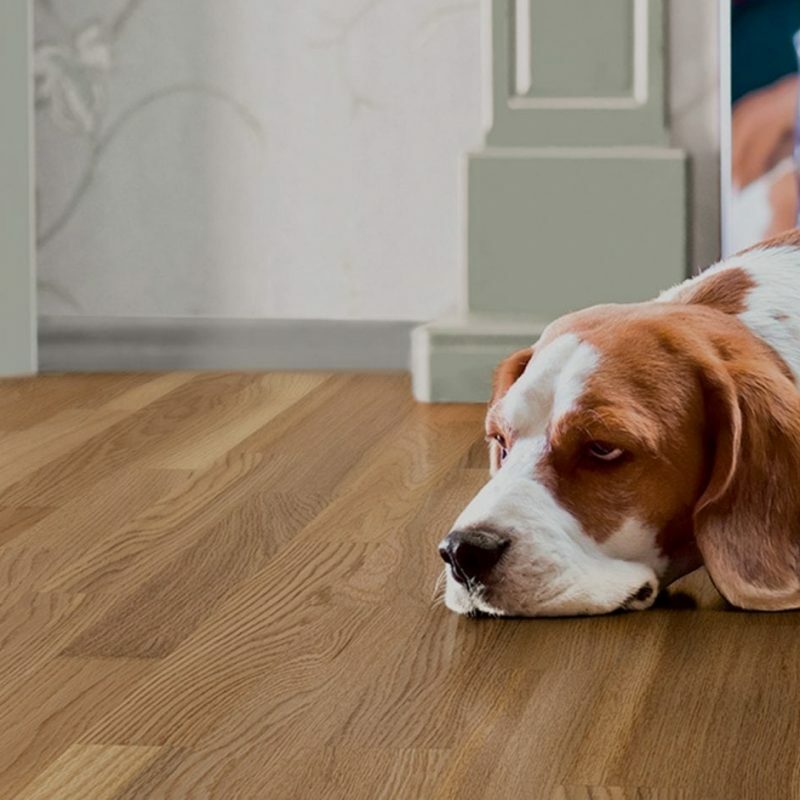 The new Alpine Lock collection features a palette of four wood floors tones that deliver subtle shades and a glueless installation system. 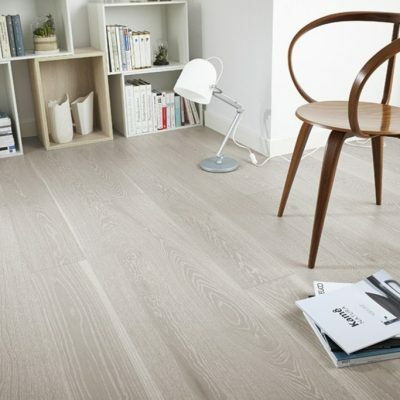 The colour tones have been created to offer soft, understated warmth and character for a contemporary flooring finish. 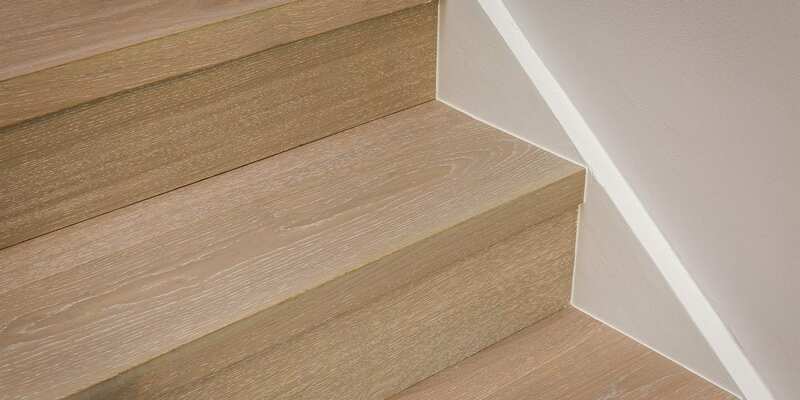 A water based top coat lacquer adds to the smooth contemporary effect and delivers an easy to maintain surface finish. 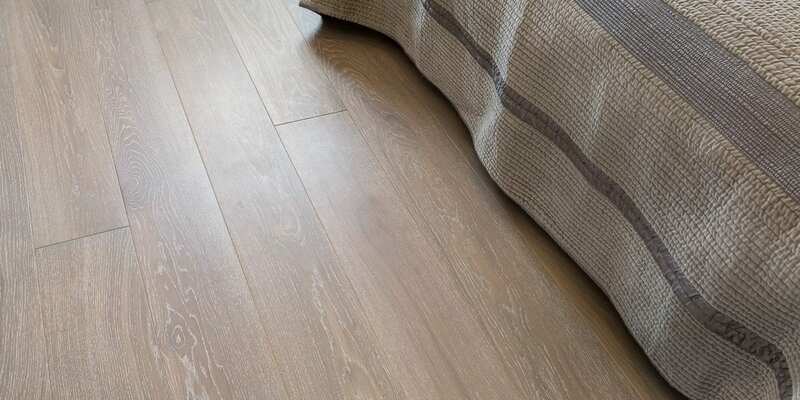 Silver sands features ripples of soft silvery grey tones along the grains which create a beautiful muted affect. 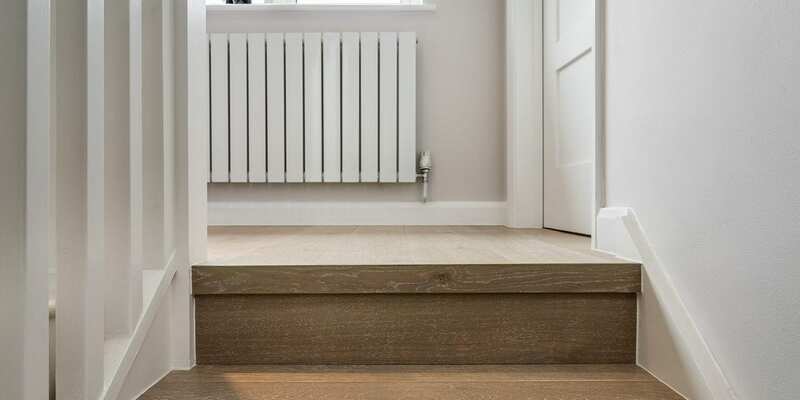 Understated yet striking the boards deliver naturally calming tones. 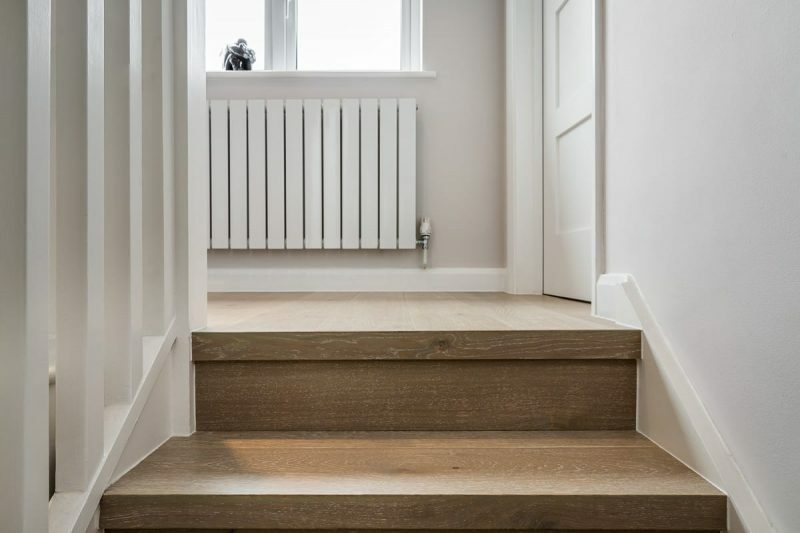 Having completed the wood floors throughout the upstairs bedrooms and landing the original intention downstairs was to sand back the original wood floors already in place and stain them in a similar colour. 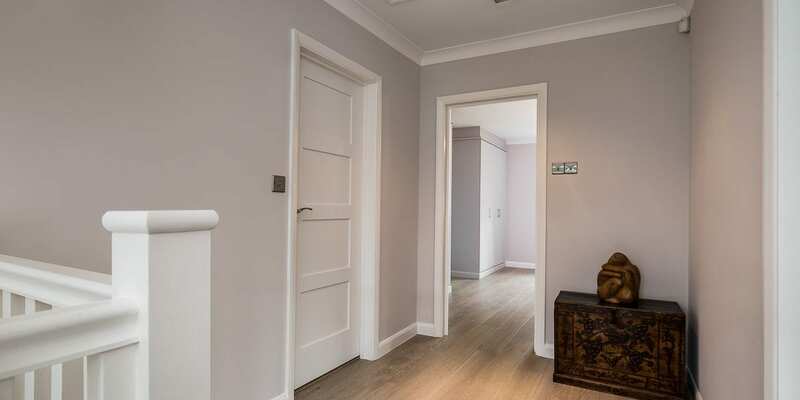 The builder presented various finish options but nothing quite felt right. 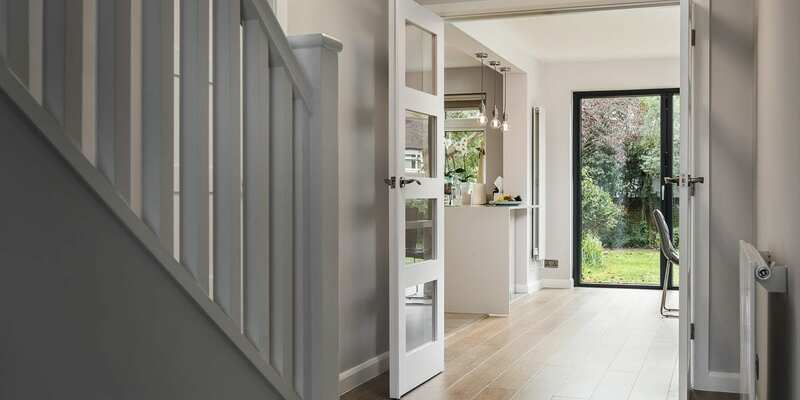 Inspired by the seamless design of the floor finish the paving area outside new bi-fold doors was selected to match the same colour tones as Silver Sands to keep the transition to outside equally seamless. 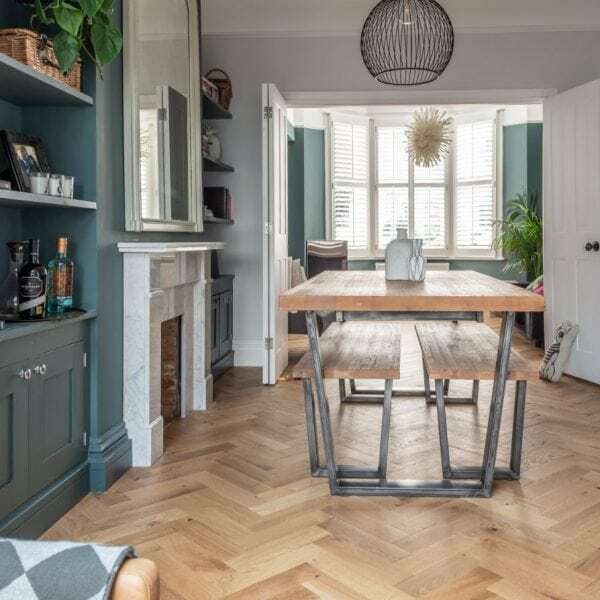 “We did opt for tiles in the kitchen area, but again we chose a matching tone to the wood floors. 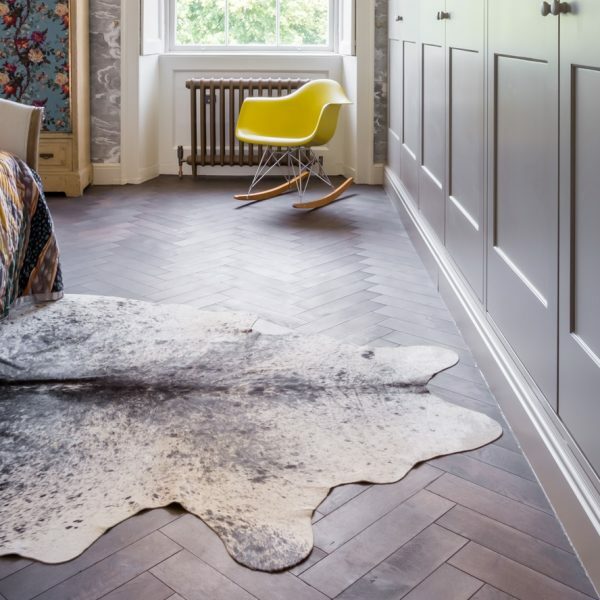 And I’ve added some beautiful Persian rugs dotted around the living spaces and bedrooms, just to add a little bit of warmth and texture.